I have some AMAZING girlfriends. I truly do. 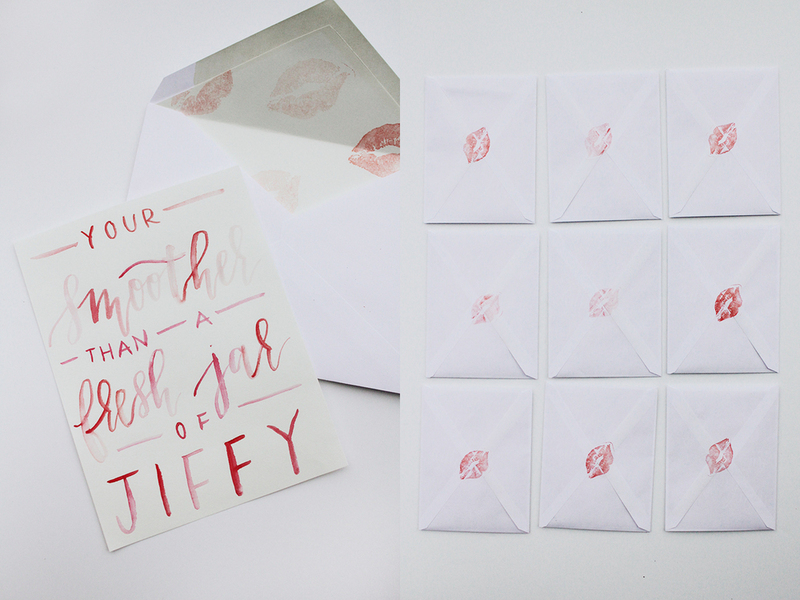 Sending them Valentines Day cards has been something that I've done regularly for the last four years. I just love telling them that I love them- that's not too weird, right? 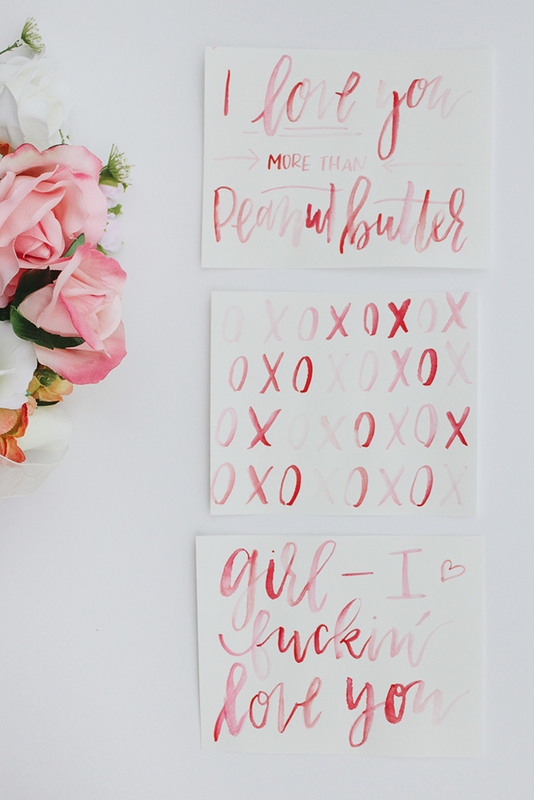 So in regular style, I whipped out my paint brush and some pretty pinks and reds and got to making some cute little Valentines for my girlfriends. Because girls rule and boys drool. (Joking fiance man, love you!) (But in all honesty galz, amiright!?) 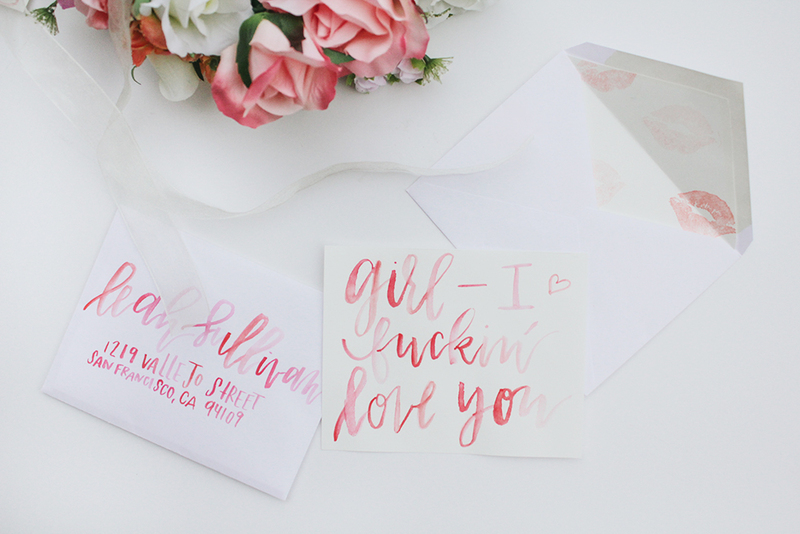 These were watercolored on white envelopes, sealed with a [stamped] kiss and lined with an ivory kissed liner. Sending so much love and a million awkward hugs out to all my girls this Valentines Day.